Fascinating article, I’ve always felt that I’d rather do interesting things on native appplication as opposed to a browser. I’ve not spent enough time with chromebooks to agree or disagree but plenty of provocations here. 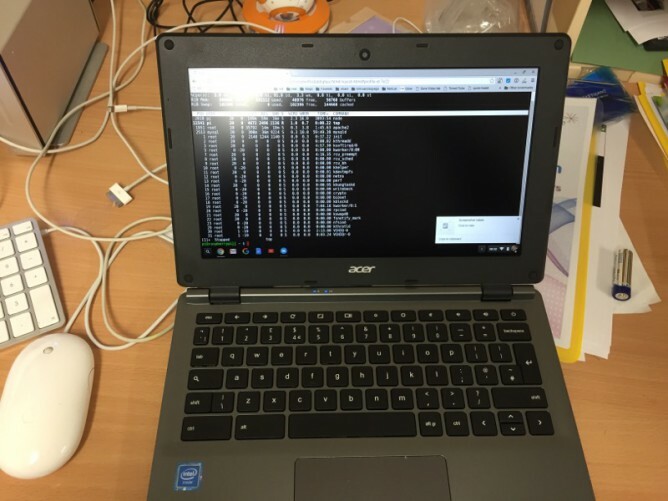 Last week I spent some time with a chromebook. It was the cheapest one on the Scottish procurement. I was surprised how responsive it was, quick to start up, reasonable trackpad and OK keyboard. It seemed to be that if you were mostly using the web or if your needs were met by web browser applications that it would do quite a lot. I was reminded of Clarence Fisher talking about using a raspberry pi and finding it could meet a lot of his needs. Personally I’ll stick to my MacBook for as long as I can afford to. I’ve got a lot of muscle memory, customisation and spent a fair bit on applications over the years. Along with the long life of Apple computers I don’t think I pay too much for what I get. I was interested in exploring how to do some things with a chromebook and the raspberry pi connection got me googling. It seems you can connect to a raspberry pi in the same way I do from Mac and iOS devices, via ssh. 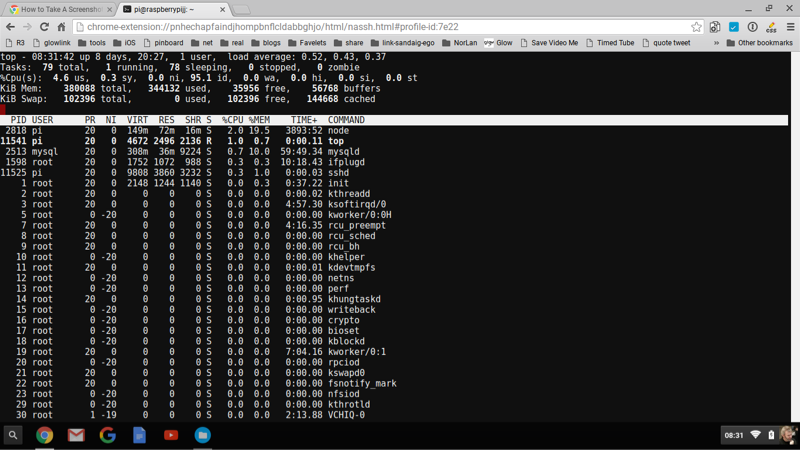 According to various sites and posts I found there is a built in terminal in the chrome browser that supports ssh. At that point I got a message saying that the built in tool was no longer there and I needed to install an app. This I did. 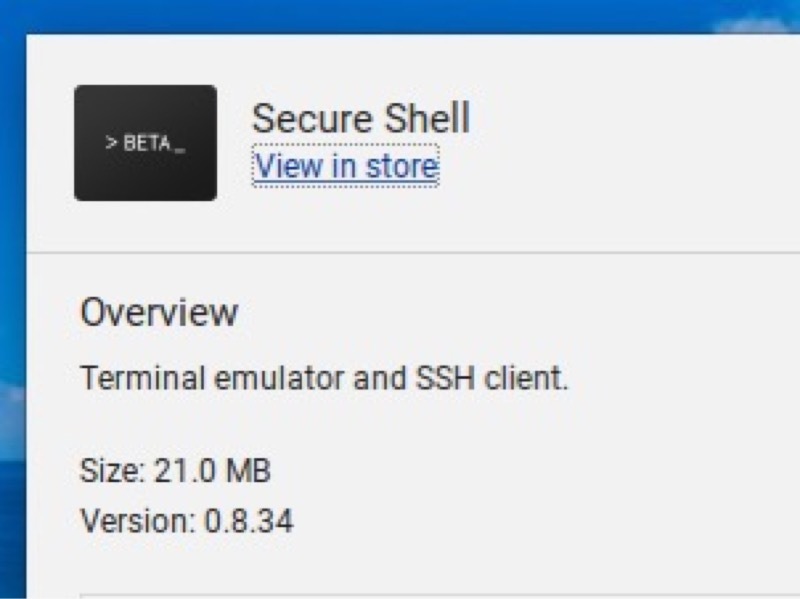 I’ve now got the secure shell app. This lets me easily connect to and work/play on the pi in the same way I already do from Mac or iOS. For a dabbler like myself this is a pretty nice setup. Especially at less than £200. john’s pi server a standard we server. River5 Dave Winer’s RSS reader using node. Quite a lot for such a wee box and there are tons of other things I could add given a bit of reading. I think this points to the possibilitys of two small cheap devices adding value to each other and opening up some possibilities.